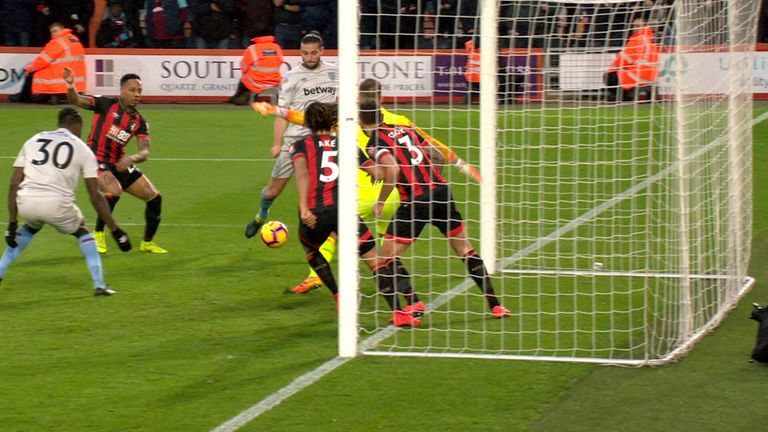 Andy Carroll missed a sitter with the goal at his mercy as West Ham slumped to a 2-0 defeat at Bournemouth. The Hammers should then have taken the lead when Carroll blazed wildly over from around two yards out with the goal gaping after Michail Antonio made a mess of the initial opportunity. The miss from a yard out when it looked easier to score proved even more costly four minutes later as the home side punished his profligacy when Callum Wilson put the Cherries ahead. A dismal performance from Manuel Pellegrini's men was compounded in injury time when Joshua King added Bournemouth's second. Hit play on the video link above to watch Carroll's glaring miss.